Plague is a highly contagious disease that has killed millions of people over the past 1,400 years. 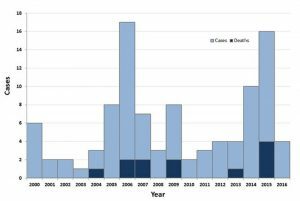 Outbreaks still sporadically occur in as many as 36 countries worldwide. Perhaps one of the greatest remaining mysteries surrounding plague is how and where it survives between outbreaks. 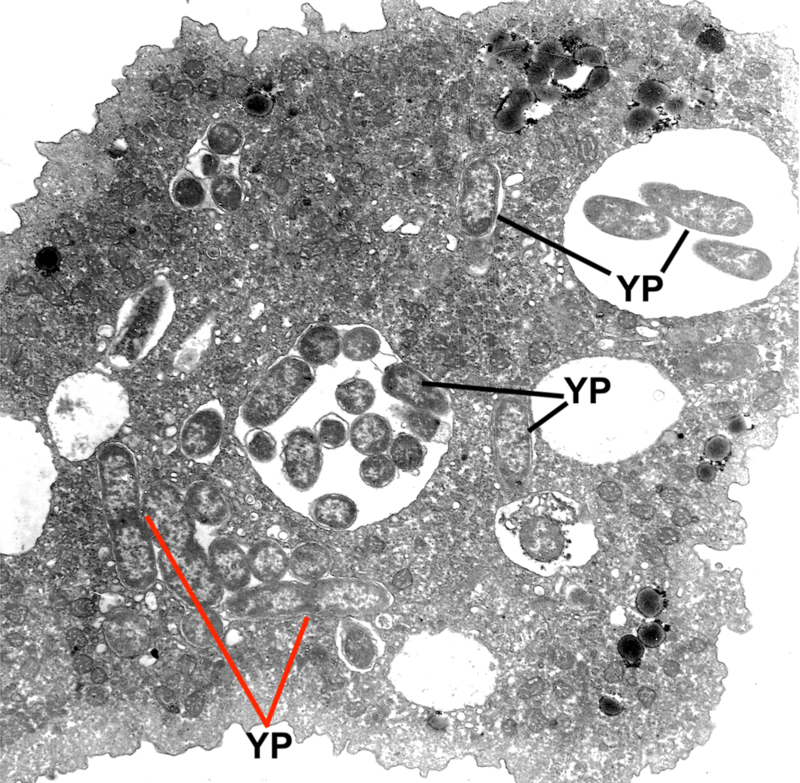 Like many other pathogens, the bacteria that causes plague, Yersinia pestis, cannot survive for long periods of time in the environment without protection. 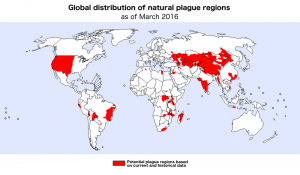 Despite this, plague outbreaks continually recur in many locations. This suggests that the bacteria are able to find refuge and survive for several years after an outbreak before reappearing, seemingly out of nowhere, and starting another infection cycle. Understanding where they hide and how they survive and reappear is extremely important for preventing future outbreaks. 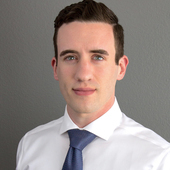 Our recent study conducted at Colorado State University’s Infectious Disease Research Center shows that amoebae – common soil and waterborne microorganisms that eat bacteria – could play a role in protecting this dangerous pathogen between outbreaks. This relationship may give plague bacteria a place to replicate and bide their time before conditions are right for another outbreak to occur. 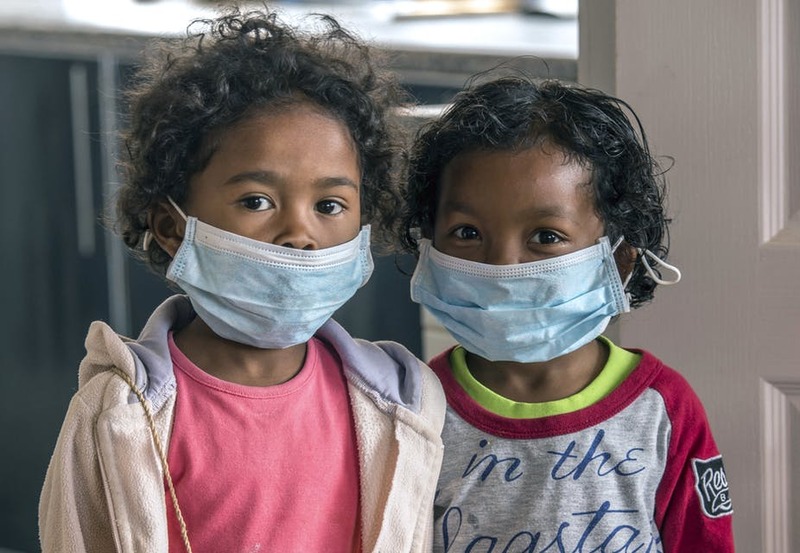 Plague has caused three deadly worldwide pandemics. The Plague of Justinian killed millions of people in the Byzantine Empire between the years 541 and 750. Next, the notorious Black Death ravaged much of Asia and Europe from 1330 to 1480, killing approximately 30 percent of all Europeans. Most recently, plague reappeared in China in 1855 and spread to ports worldwide over the following century, killing some 12 million people. Thousands of small outbreaks have occurred between and following these events. Part of what makes understanding plague so difficult is its ability to infect over 250 mammals and many species of insects via multiple routes of transmission. For example, it can be transmitted through a bite from an infected flea or by inhaling bacteria coughed up by an infected animal. Plague outbreaks also occur across very diverse environments. They range from prairie ecosystems in the western United States to highland forests in central Madagascar and temperate deserts in western China. The fact that few characteristics unify all of these regions may indicate that plague bacteria use different survival mechanisms in each location. However, one unifying factor is the presence of amoebae in the soil. Amoebae are single-celled microorganisms that live in almost all soils and water bodies across the globe. They feed on bacteria, but scientists have discovered that some bacteria are resistant to being digested by amoebae. Interestingly, they include plague’s most closely related ancestors, Y. pseudotuberculosis and Y. enterocolitica. 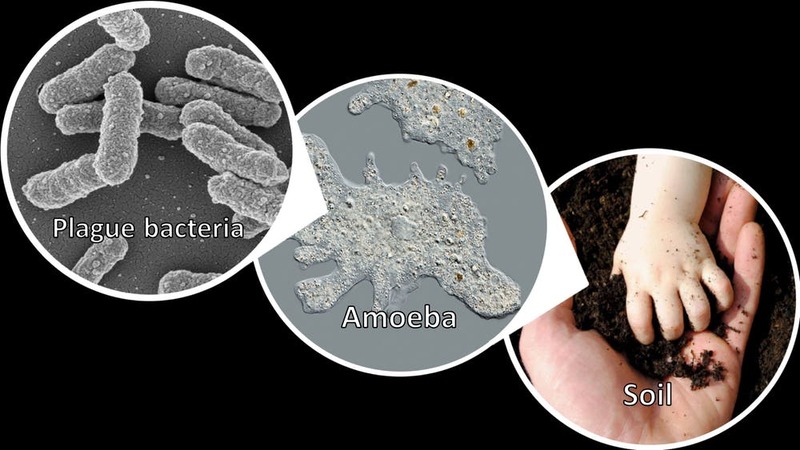 Living in the soil, alongside amoebae, required these bacteria to evolve ways to avoid being eaten. 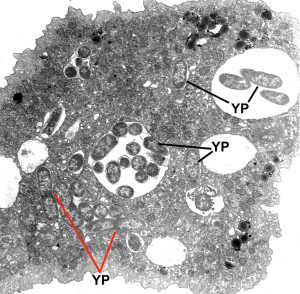 Given this evolutionary history, our research team hypothesized that when plague evolved from Y. pseudotuberculosisapproximately 10,000 to 40,000 years ago, it may have retained the ability to survive inside amoebae. To test our hypothesis we collected soil samples from prairie dog burrows in northeastern Colorado because prairie dogs are known hosts of plague. This involved finding prairie dog colonies that were experiencing a plague outbreak and inserting a long flexible probe into burrows to collect samples from deep within, while avoiding potentially infectious fleas emerging from the burrow. After isolating amoebae from the soil in our lab, we identified five species to use in future experiments. The next step was to determine how plague bacteria interacted with the various amoeba species we identified. In a special high-containment laboratory, designed to prevent dangerous pathogens from accidentally escaping, we combined amoebae and various strains of plague bacteria obtained from the U.S. Centers for Disease Control’s laboratory in Fort Collins, Colorado. 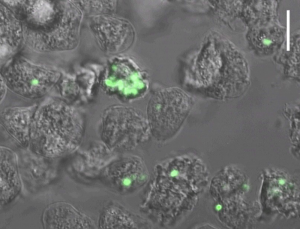 We used a genetically altered strain of plague that fluoresces neon green to determine if and when amoebae were ingesting plague bacteria by viewing them under a high- powered microscope. Next we used a transmission electron microscope to obtain even more detailed images of the inside of infected amoebae. This revealed that the plague bacteria were alive and possibly replicating. To confirm this, we selectively cracked open the infected amoebae at different time points to compare the number of bacteria inside. Our results are the first to demonstrate that plague bacteria are able to survive and replicate inside amoebae. The next challenge is understanding how long plague bacteria can survive in amoebae. Part of an amoeba’s life cycle includes transforming into a cyst – a form in which it can lie dormant for up to 20 years before it reanimates and resumes eating and multiplying. This enables it to survive during adverse environmental conditions, such as extreme temperatures or drought. If plague bacteria can survive inside dormant amoebae cysts for many years, this could explain how and where they persists between outbreaks. Amoebae are already recognized for their potential role in protecting, amplifying or guiding the evolution of over 225 other bacteria, viruses, and fungi. Famously, it is hypothesized that they played a role in the first known outbreak of Legionnaires’ disease in 1976 by providing a protected space for Legionella bacteria to multiply. Amoebae can also act as transport vessels for pathogens, enabling the bacteria to enter and infect new hosts. Some scientists hypothesize that amoebae can guide harmless bacteria to evolve into dangerous pathogens. The reasoning behind this is that amoebae are very similar to macrophages – the white blood cells in mammals that are responsible for finding and killing invading bacteria. 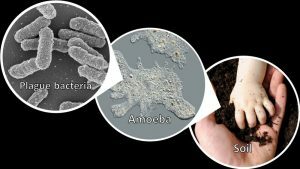 If harmless soil bacteria evolve the ability to survive and multiply within amoebae, then they might also be able to do so in the white blood cells that comprise our immune system, thereby becoming new human pathogens. The idea of amoebae acting as “training grounds” for the evolution of dangerous pathogens like plague conforms with what scientists already know about human plague infections. In human cases, plague is engulfed by white blood cells, but has evolved a way to avoid destruction by escaping the portion of the cell responsible for digestion. Then it multiplies inside the white blood cell before exiting and disseminating throughout the human body. This process is nearly identical to the process our research team observed in amoebae. Did this ability to avoid destruction and multiply within white blood cells – which is found in many human pathogens – arise from ancient soilborne bacteria learning to exploit amoebae? Perhaps practice really does make perfect. 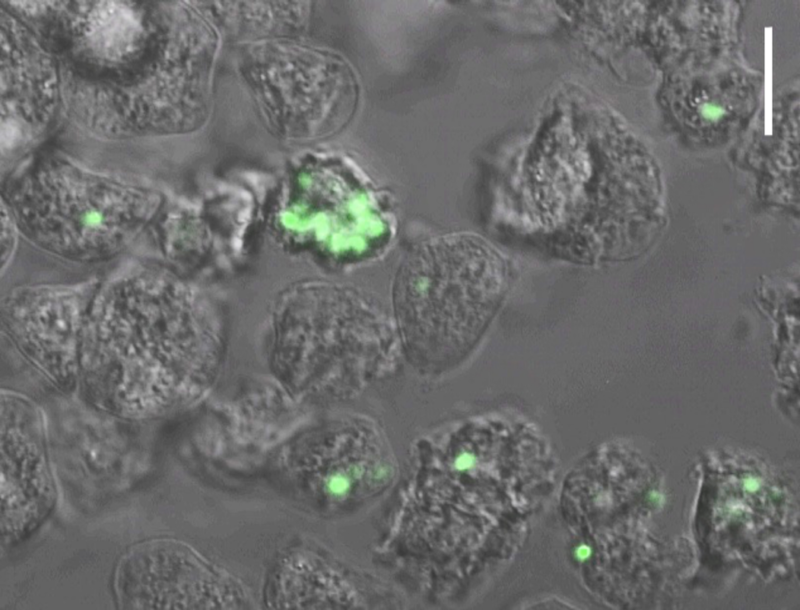 Pathogen-harboring amoebae could be serious public health threats, since we currently have no way to efficiently monitor them in the environment or predict when they might release infectious agents. They may also pose a biosecurity threat that a hostile power could use to disperse existing pathogens or create new ones. We need more research on the complex interactions that allow pathogens to survive, disseminate and evolve so that we can learn to predict and prevent disease outbreaks and their consequences. This entry was posted in Biology, Disease, Evolution, Health, Health/Medicine. Bookmark the permalink.